Dibert Valve & Fitting Co.
PHPK Technologies specializes in custom engineering and the support of advanced cryogenic processes for national laboratories, NASA, major universities and in the research and discovery of new applications. 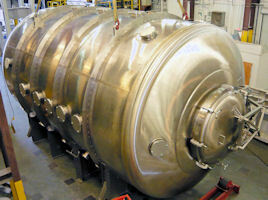 In addition, commercial applications also comprise a significant portion of the custom manufactured systems we offer. 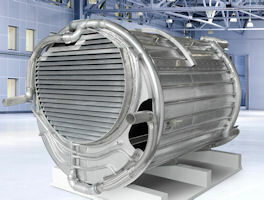 Our engineering and technical staff has decades of unique system application experience through custom engineering, design, and fabrication of the world's most challenging cryogenic / vacuum projects. 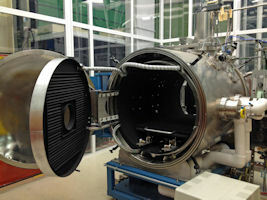 This diverse experience has positioned PHPK as the prominent supplier of specialty cryogenic and high vacuum chamber systems offered to the global market. Equally important, our dedicated manufacturing staff consistently demonstrates their aptitude and craftsmanship when fabricating cryogenic and vacuum systems in our state of the art facility. We are ASME Section VIII, Division 2 approved with both welding personnel and procedures certified to ASME Section IX. For customer-engineered or conceptual systems, PHPK provides "build to print" services along with completion of detailed design. PHPK continues to expand it custom systems portfolio, offers turn-key service, cryopumping technology and in-depth experience across a wide spectrum of customer applications.